Welcome back to our PURA ABCs! We hope you are enjoying our series as much as we are – today we continue with L as in Lambo and will take you to Mooning…is that all crypto to you? 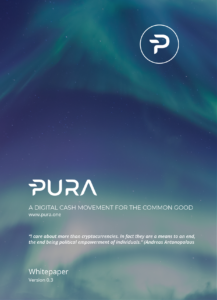 Also a warm PURA Vida to the newbies in the crypto world – for those of you just tuning in now, PURA 101 is a series on terminology of cryptocurrencies and blockchain technology. Read here for the first part of the series and visit our BlogChain for the follow-up articles and more. We always aim to please to keep you in the loop. Also,feel free to contact us if you want to find out more on a certain term. In the normal world, Lambo means Lamborghini. But in crypto slang, the meaning is slightly different. The expression “Lambo” is an aspirational symbol cryptocurrency traders and enthusiasts use as a symbol of success. Simply put, some users are waiting to become rich enough by trading to buy a or another sports car. Market capitalization or “market cap” for short is one way to rank the relative size and importance of a cryptocurrency. This figure is calculated by multiplying the price by the circulating supply. Not everyone agrees it is a good metric for comparing cryptocurrencies. Be that as it may, market cap essentially represents the amount of demand for a cryptocurrency. More people buying, bidding the price higher leads to higher market cap. Some use the indicator to see how “strong” an asset is. “Mining” in cryptocurrencies is an expression that originates from miners mining for gold and diamonds below ground. Cryptocurrency mining includes two functions, the first one is adding transactions to the blockchain securing and verifying the process and the second one releasing new currency. Transactions are confirmed by Proof of Work (PoW) – more information on this in an upcoming article.